Mass euphoria hit Northwestern with 15 seconds left to play in Sunday’s game against Duke. The Wildcats’ celebration was not set off by one of their late-game goals or big defensive stops. The play at the center of NU’s excitement was actually a game-sealing draw control from the hands of sophomore midfielder Brennan Dwyer. The Cats (3-0) gained the last possession as a result of Dwyer winning the draw, which features one player from each team sparring in the center circle for possession after a goal. When the midfielder came away with the ball, it was a deflating blow to the Blue Devils, who are ranked as the nation’s top draw control team. But the play was unsurprising to anyone who knew Dwyer. Coaches and teammates described the midfielder as an unfailing big-moment player. Dwyer was a high-profile recruit coming out of Loyola Academy, having four-time all-state honors under her belt. In her senior year, Dwyer led her high school lacrosse team to a fourth consecutive state championship and went on to become the first female Under Armour All-American from the Midwest in three years. As one would expect, her high school statistics were extremely impressive. Dwyer tallied 395 goals, 238 assists and 876 draws in her high school career. On the defensive end, she turned the opposition over 202 times, proving to be almost as big a force on that side of the ball as she was when she had it in her hands. 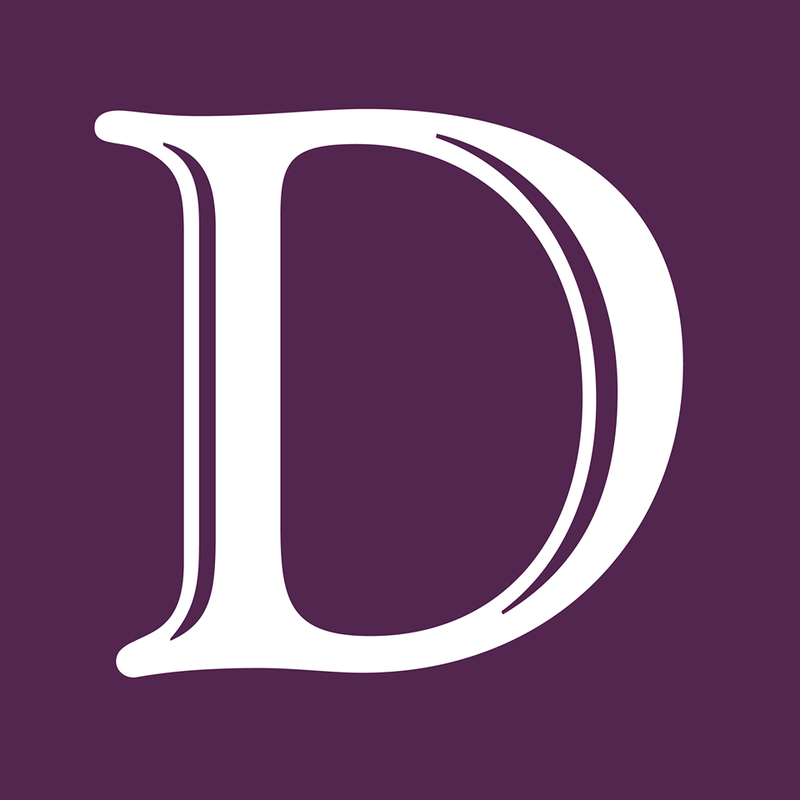 To start her collegiate career, Dwyer played behind graduated attackers and midfielders Shelby Fredericks and Sheila Nesselbush, but Dwyer earned more responsibility as the season wore on. At the end of the season, Dwyer had accumulated 36 draw controls, which was the second highest total on the team and the sixth highest all time for a freshman player. In the season’s final game against UNC, the midfielder had earned a consistent rotation spot inside the circle for the Cats. 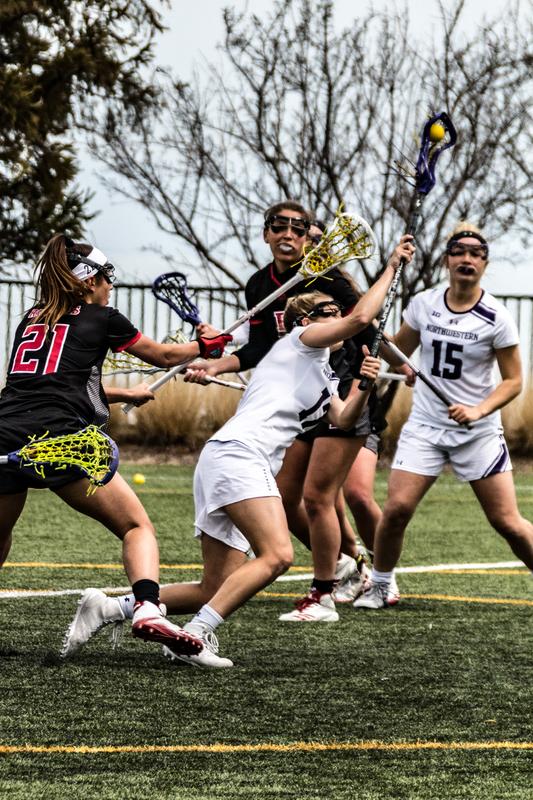 In her second season, Dwyer has already established herself as NU’s top draw control specialist. She won a career-high 12 draw controls in the Cats’ regular season opener against Louisville. The second-year player has recorded 23 total draw controls this season, a mark that is currently third in the country. But the void Dwyer is tasked with filling is extremely long. Fredericks, who graduated after last season, is NU’s all-time leader in draw controls with 496. In her junior season alone, Fredericks accumulated a program-high 165 draw controls, and she added 58 goals and 104 assists as well. Fredericks also acquired some of the sports most prestigious awards, bringing home recognition as one of the best in the Big Ten as well as the entire midwest region. In her final season, Fredericks was selected on the third team of Inside Lacrosse Media’s All America list. But Dwyer isn’t shying away from the shoes she is being asked to fill. In recent years, NU has placed an added emphasis on gaining a faster and more efficient offense. Thus far in the season, the Cats hold the second-best scoring offense in the entire country. Led by Gilbert, NU has dramatically increased its shot percentage, now converting more than half of the shot attempts this season. To continue at this offensive pace and fulfill their postseason goals, the Cats will need Dwyer to continue to win them possessions inside the circle. If the game against the Blue Devils was any indication, opposing teams will need to take note of the midfielder unleashing NU’s offense. 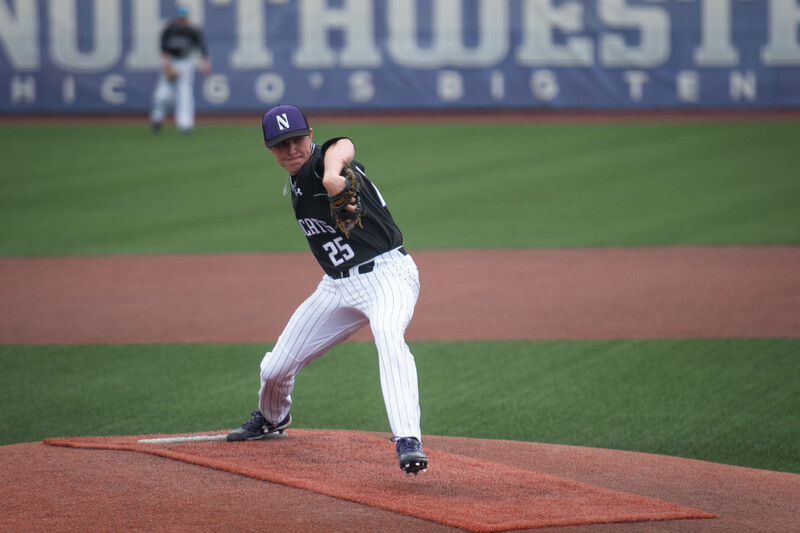 Long before the spring warmth thaws Evanston’s snow and frost and baseball returns to Rocky and Berenice Miller Park in March, Northwestern’s pitching staff will look to melt away memories of last season’s conference-worst team ERA. It won’t be easy, but the Wildcats (2-2) do have something in their favor: Every pitcher who started a game for Northwestern last season returns this year. And with such a big returning presence, coach Spencer Allen isn’t afraid to set lofty goals in the wake of a 17-32 season. With the latter half of the rotation up in the air, Allen said he expects to use a wide range of names in the starting pitcher slot on the lineup cards in the season’s early goings. Junior right-hander Hank Christie, who entered this year with 29 starts under his belt, surpassed sophomore lefty Quinn Lavelle as the ace in the rotation. Despite Lavelle leading the team in innings pitched last year, now, he figures to get the ball on Saturdays as the No. 2 pitcher in the rotation. After the team’s top two returners, the water gets murkier. Sophomore lefty Jack Pagliarini started eight games last season and led all NU starters with a 3.99 ERA. Based on past performance alone, Pagliarini would appear to be a favorite to reclaim a starting role, but in the offseason he transitioned to a bullpen role. In this weekend’s season-opening, Pagliarini came out of the bullpen twice in four games. Sophomore Ryan Bader and junior Sam Lawrence have brought themselves into the conversation after strong offseason work and seem the most likely to replace him on Sundays. Neither pitched particularly well last season, as both finished with ERAs above 7 and WHIPs near or above 2. However, Allen said Bader had “made strides” as a sophomore and that Lawrence had elevated himself from bullpen constant to consideration for a starting nod. Also, freshman right-hander Mike Doherty could receive an opportunity later in the season if others struggle. After telling reporters he wasn’t trying to “play games,” Allen admitted that even he wasn’t sure how the rotation will look. As the only pitcher with two previous years of experience in the starting rotation, Christie is the most capable player to usher the new starters through the transition. Christie said he focused on developing his leadership skills during the break, as he felt a similar presence was lacking on the team last season. In addition to his personal efforts, Christie said Allen instituted a “leadership council” for the team over the offseason, which divided the team into small groups of roughly five to eight guys across position groups and grades. The idea, Christie said, was to encourage open dialogue among teammates and to give younger players the opportunity to foster connections with older ones. As a result, the players spent a lot more time together this year than last year and are much closer, he said. While Christie hopes to establish his locker room presence, pitching coach Josh Reynolds is already impressed with the stability on the mound that the Oak Park, Illinois, native has shown “from day one.” Reynolds said nothing rattles Christie on the bump and that he cares more about getting the opportunity to start than about what spot in the rotation he receives. He said while Christie’s stats might not have looked great last year — he sported a 3-5 record and a 4.61 ERA — he was a few innings or at-bats from a much different stat line. The young players, Allen said, are hungry for opportunity. The older guys are motivated after an inspiring run to the 2017 Big Ten Championship was followed by 2018’s second-to-last conference finish. Allen said he wants to make sure all of the pitchers, especially the ones he uses regularly, are attacking the zone, a skill they only showed flashes of last season. Coming into this season, Northwestern knew it would have to replace four position player starters. The Wildcats’ deep freshman class has been up to the challenge so far. 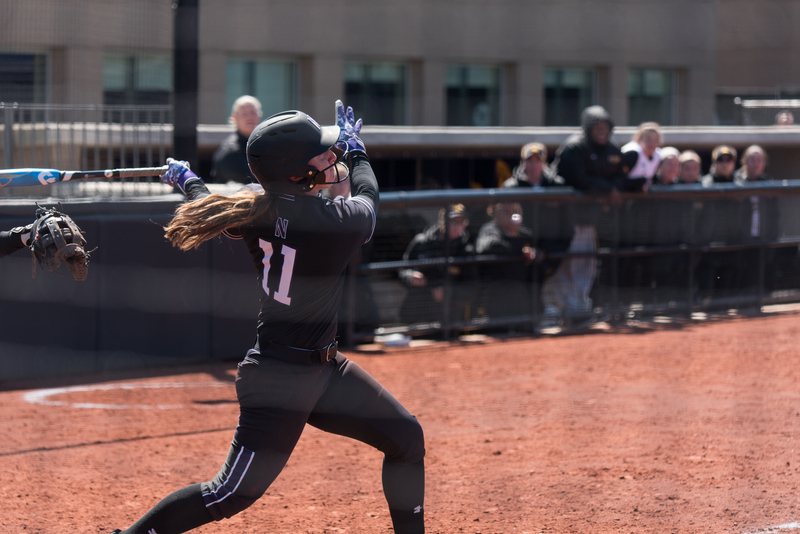 Ranked as the ninth-best class in the country by FloSoftball, the freshmen have made an immediate impact in all phases of the game to help NU to a 7-2 start. Freshman catcher Jordyn Rudd has replaced Sammy Nettling behind the plate and kicked off her collegiate career with a bang — literally. Rudd, the No. 45 overall recruit according to FloSoftball, hit a three-run double in her first at-bat of the year against Utah State, and then hit two home runs in her second game against Pacific. Rudd batted .467 with 10 RBIs in the Cats’ first tournament of the year in Fullerton, California, after which she was named Big Ten Co-player of the Week. She is also tasked with handling a deep, talented staff that has pitched to a 1.79 ERA so far. Designated hitter Nikki Cuchran is NU’s leading hitter, batting .423 after two weekends of play. Cuchran was the highest-rated recruit in the Cats’ freshman class, ranked No. 30, and hit .600 or above every year in high school. As a senior in high school, Cuchran hit .711 with 17 home runs and 86 RBIs. While that power has yet to manifest itself at the college level, Cuchran has hit safely in every game but one, and she is currently riding a six-game hitting streak. Pitcher Danielle Williams has had the biggest impact among the freshmen. Williams, the 44th-best recruit nationally according to FloSoftball, was one out from a no-hitter in her first collegiate start against Pacific and ended up with a one-hit shutout. She followed that up with a two-hit shutout against Louisville the next day, striking out 13. This past weekend at the ACC/Big Ten Challenge in Chapel Hill, North Carolina, Williams had two more complete-game wins — an eight-strikeout, no-walk performance in a 9-3 win over the Tar Heels and a seven-strikeout, one-walk effort in a 4-2 win over the Cardinals. She also has two wins in relief and is 6-0 on the season with a 0.81 ERA. While Rudd, Cuchran and Williams have been the stars, other freshmen have also contributed to the Cats’ success. Skyler Shellmyer has been strong defensively in center field, and shortstop Maeve Nelson hit a go-ahead homer in extra innings to complete a comeback win over Louisville on Friday. Coach Kate Drohan, now in her 18th season at the helm of the program, is hoping these freshmen are able to put NU over the top in postseason play. While Drohan has won two Big Ten Championships and made appearances in back-to-back Women’s College World Series, including advancing to the championship series in 2006, the Cats have not appeared in the Super Regionals since 2008. She said the team’s returning players have welcomed into the program the incoming class, which has considerable upside. Clarissa Hand is a freshman. But nine matches into her collegiate career, she’s already established herself as a fixture in No. 11 Northwestern’s (5-4) No. 1 singles and No. 1 doubles spots. She’s already advanced to the semifinals of the Intercollegiate Tennis Association Midwest Regional. Last weekend, Hand defeated two ranked players, No. 70 Livia Kraus and No. 26 Kenya Jones. She earned Big Ten Women’s Tennis Athlete of the Week on Tuesday for the second time this year. Replacing program legends Erin Larner and Alex Chatt, Hand’s emergence has helped lead the Wildcats into the next era for the program. So far this season, she’s held the No. 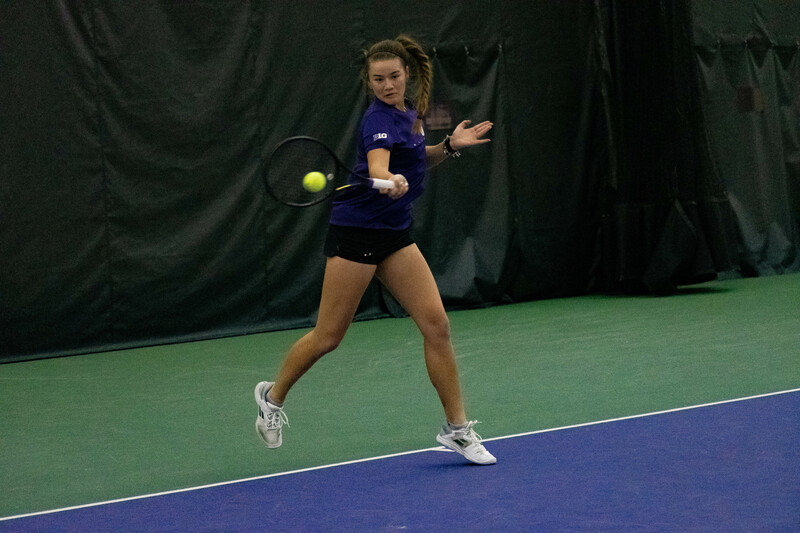 1 spot for NU as the school earned its way to its first ITA National Indoor Team Championships appearance since 2014. The Cats have also beaten No. 22 UCF, No. 17 Miami and No. 18 LSU. Hand is the only freshman receiving consistent playing time, though NU has received considerable contributions from other underclassmen. Sophomores Caroline Pozo and Inci Ogut have held down consistent singles spots, and Pozo leads the singles starters in winning percentage. No. 72 Julie Byrne is the only other ranked singles player on the highly-ranked team, and she’s 7-4 in singles this year, playing at the No. 2 spot. The Cats open Big Ten play this weekend with a home match Friday against Iowa (7-0). Following last year’s conference championship, NU will have the chance to match 2018’s 11-0 record in conference play and continue to establish itself as a powerhouse in the Big Ten. Coming into 2019, Northwestern had started a season with a loss just twice this century. In both of those years, the Wildcats quickly responded by winning their next match. This season, NU found itself in uncharted territory, beginning its season with four consecutive defeats. With question marks surrounding a team coming off of a difficult campaign last year, there was reason to think this could be a long season. However, NU (8-5, 1-0) rallied back from that inauspicious start, winning eight of its last nine matches. At 8-5, the team is already one win away from matching its total from all of last season with 14 matches still to play before the postseason. 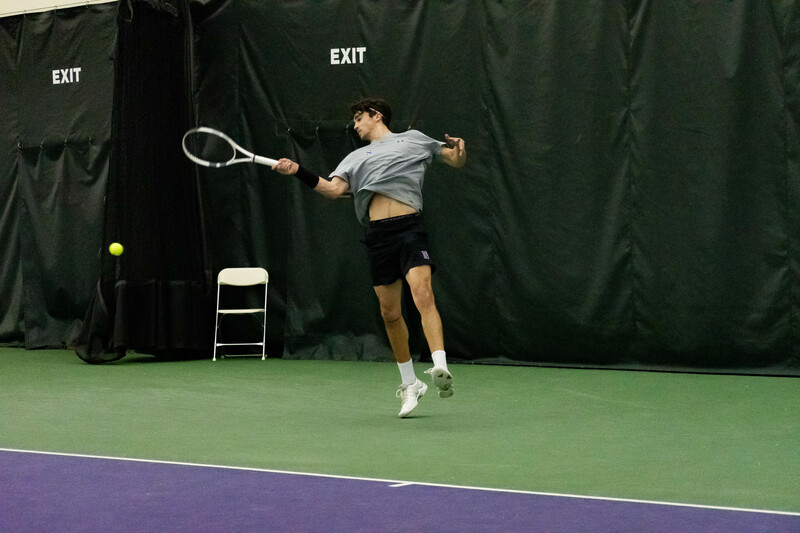 After the Cats lost to Vanderbilt 5-2 on Jan. 18, sophomore Nick Brookes said the team is at its most dangerous when it’s “relaxed and we’re trying to show ourselves off as best we can on the court.” Winless at the time, NU’s best was yet to come. With losses to North Carolina State and Alabama following the loss to the Commodores, the Cats finally filled the win column by defeating Auburn 4-2 on Jan. 27. Following the victory, freshman Trice Pickens, who won his singles match 7-6, 2-6, 6-3, provided a simple explanation for his success: "I just competed, worked hard." Pickens is one of two freshmen on the team along with Simen Bratholm. Both have demonstrated significant improvement during the team’s turnaround. Pickens has won seven of eight singles matches since that first win of the year, while Bratholm has won five straight. One of the Cats’ biggest struggles out of the gate was in doubles play. Since the 0-4 start, though, coach Arvid Swan said he’s seen all-around improvement in his team that continued to work hard despite not seeing the results early on. Regarding singles play and the development of his younger players, Swan said both — along with improved doubles play — explain why the team is where it is right now. As on any team, playing time is not equal. However, Swan noted every member of the team as playing a vital role in the recent success. While NU defeated Purdue 5-2 on Feb. 10 for its first Big Ten win of the season, the Cats will not face another Big Ten opponent until March 1, when they take on Indiana. Regardless of who’s on the schedule, though, Swan said his mindset is still focusing on the next match and not looking too far ahead. After a successful 2017-2018 campaign, Northwestern will prepare to pick up right where it left off last season. The Wildcats finished in the top-10 of the last four NCAA Championships. However, the Wildcats will have to get used to playing without arguably the best player in program history. Hannah Kim, who graduated after last season, holds NU’s record for career scoring average, single-season scoring average and lowest 18 and 54 hole score in program history. A three-time All-Big Ten Selection and two-time Big Ten Player of the Year, the Wildcats will have big shoes to fill. NU also graduated Sarah Cho, who has the third lowest scoring average in program history. However, despite those two losses, the Cats have a lot of returning talent to mix with their new recruits. NU boasts a four-person senior class, including Janet Mao, who was First Team All-Big Ten last year, and Stephanie Lau, who made the second team All-Big Ten roster. The seniors are rounded out by MacKenzie Hawkes and Monica Matsubara. NU also bolstered its roster with three recruits. The Cats brought in Jane Lu, Kelly Sim and Kelly Su, who could all have an immediate impact for NU. The Cats are led by coach Emily Fletcher, now in her 11th season in command of the program. Under Fletcher, NU has qualified for nine consecutive NCAA Regionals and have appeared in five straight NCAA Championships. In preparation for postseason play, Fletcher has organized a challenging nonconference schedule this year. 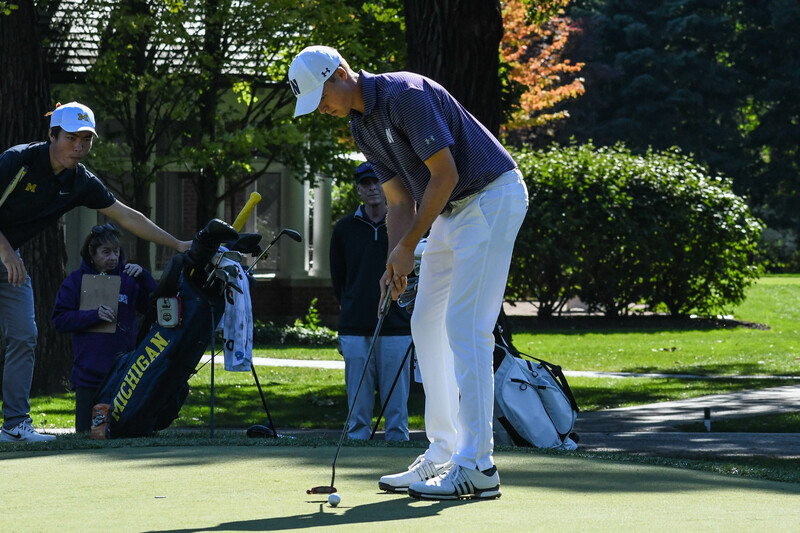 In the fall of the 2018-2019 season, the Wildcats played in four tournaments, finishing in the top-4 in three of them. NU finished in fourth place at the Lady Puerto Rico this past weekend and have four more tournaments remaining before the Big Ten Tournament. The Wildcats have high expectations and with a talented senior class, the Wildcats have a potential to a make another run in the NCAA Tournament. Northwestern has the talent to win. What the Wildcats need is to find a high level of consistency. NU played in four tournaments in the fall and is currently in the middle of its second of the spring. The five tournaments the Cats have finished have been a mixed bag. On one hand, NU has finished in first, second and third place with three individual first-place finishes. On the other hand, the Cats have slumped to very disappointing eighth- and ninth-place finishes in other events. The team is highlighted at the top of the card by senior Ryan Lumsden and freshman David Njyfäll. Lumsden is a two-time All-Big Ten First Team member who has eight career top-five finishes and the third best stroke average in school history. Njfyall has won two of his first five career events — the Chatham Hills Collegiate and UNCG/Grandover Collegiate. But the Cats are deeper than those two. Junior Everton Hawkins has finished in the top-25 in half of his career events. Freshman Lucas Becht illustrated promise during the fall. Sophomore Eric McIntosh has two top-10 finishes so far this season. Senior Pete Griffith performed well at the Big Ten Match Play Championship and said he is driving the ball the best he has in his four years. It is more than two months until the Big Ten Championships in Philadelphia. While that seems far away, the consistency NU shows over that time frame might be the difference between a successful championship season and a disappointing one. 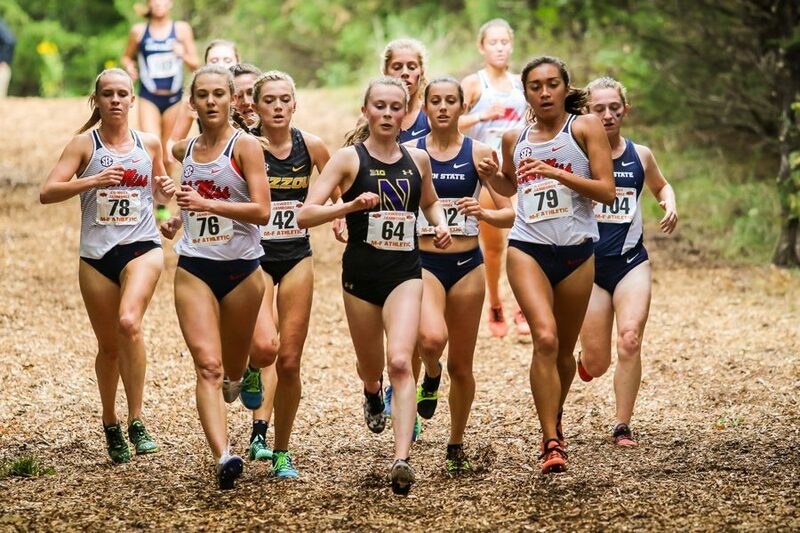 Northwestern’s focus is set on strong individual performances. After placing seventh at the Big Ten Championships last fall, the Wildcats won’t compete in the conference championships for indoor or outdoor track. But that doesn’t mean they’ve stopped running. Since becoming the first All-American in program history at the NCAA Championships last fall, junior Aubrey Roberts kept running into NU’s record books this winter. And she’s shown no signs of slowing down in the spring. The Wisconsin native will look to qualify for the NCAA Outdoor Championships in Austin, Texas, this June after narrowly missing out last season. At last year’s NCAA West Regional Preliminary, she competed in the 5,000-meter race, crossing the line in 15:53.85 at 14th place, two spots out of a trip to Oregon for the NCAAs. Junior Kelly O’Brien also competed at the NCAA Preliminaries last year. O’Brien led the Cats in the 1,500-meters at every outdoor track event of the season and set a program record in the event last May. She'll also be looking for a trip to the Lone Star State after finishing 11 spots back in the 1.5K race from going to the championship event last year. The juniors will be backed up this spring by fellow third-year Sarah Nicholson, who finished right behind Roberts at every meet this fall and was the runner-up in the 3,000-meter race at this month’s GVSU Big Meets with a time of 9:53.61. The team’s talented freshmen including Sielle Kearney, Sara McCoy and Rachel McCardell will also look to make their mark in their first collegiate outdoor track season after shining earlier in the year.